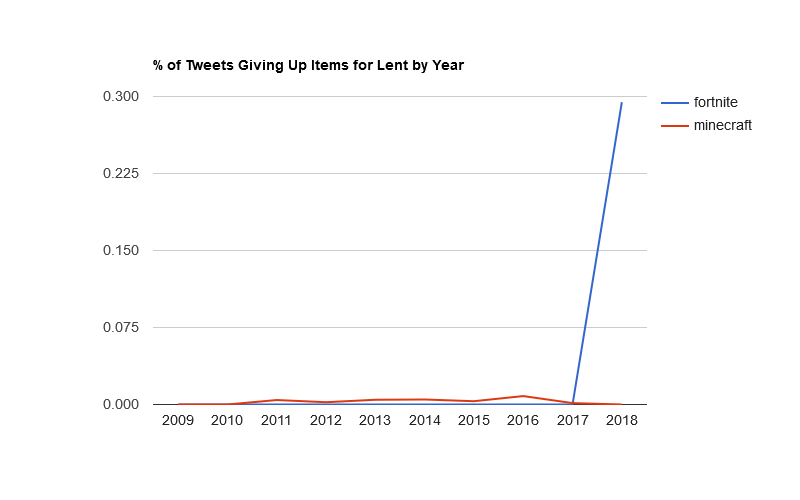 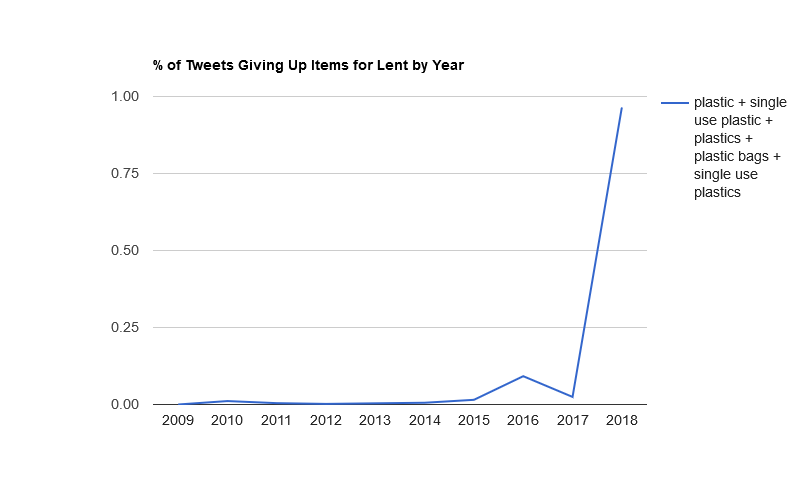 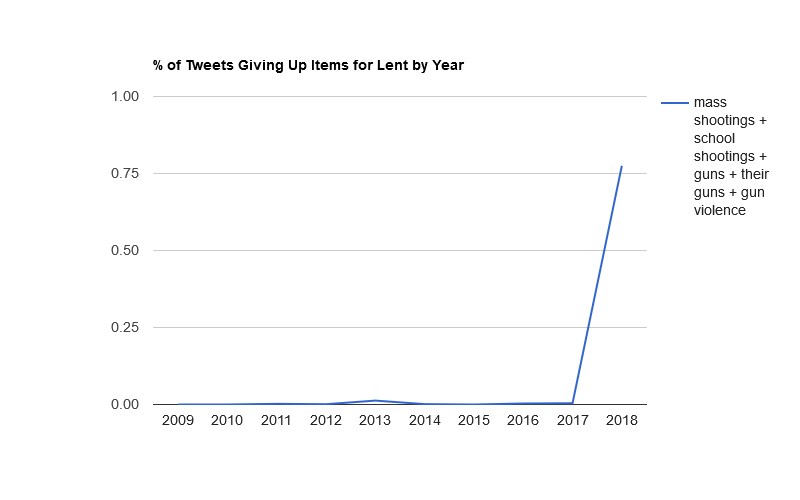 See the top 100 things people are giving up for Lent in 2018 on Twitter, continually updated until February 17, 2018. 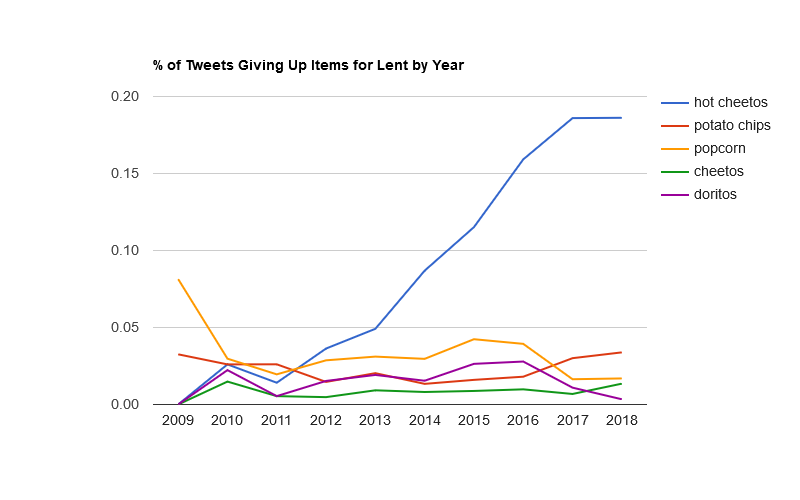 You can also use the Historical Lent Tracker to see trends since 2009, though 2018 is still in flux, so I wouldn’t draw any conclusions about 2018 yet. 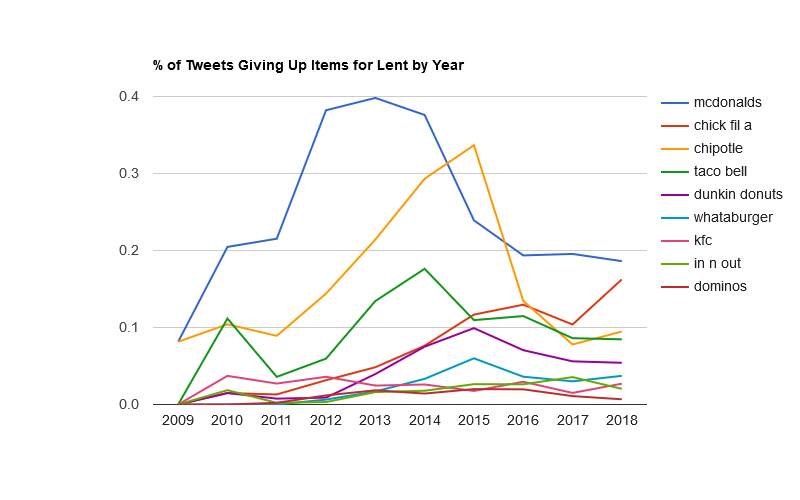 As I write this post, with about 1,500 tweets analyzed, perennial favorites “social networking,” “alcohol,” and “twitter” lead the list. Ash Wednesday coincides with Valentine’s Day this year (and thus Easter with April Fools’ Day), so I expect relationship-related tweets to run higher than usual. 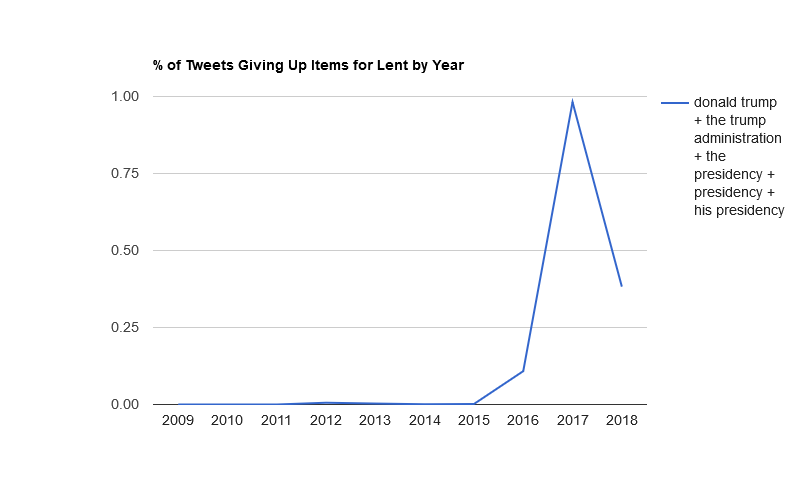 Look for the usual post-mortem on February 18, 2018. 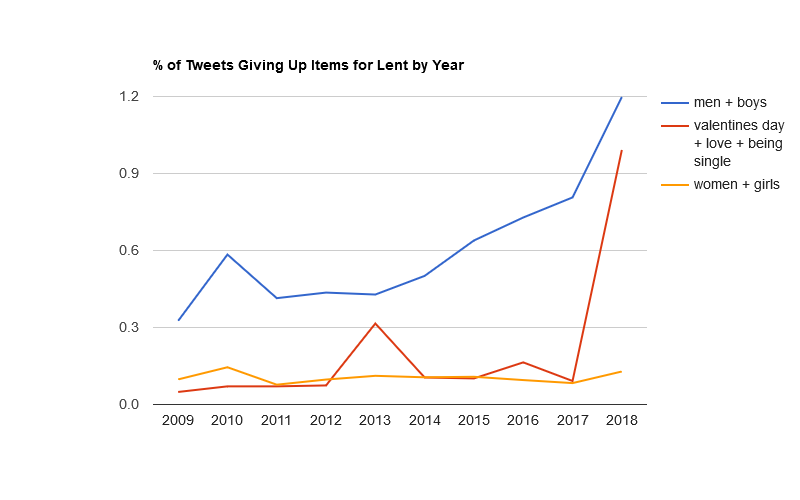 You are currently browsing the OpenBible.info Blog blog archives for February, 2018.